Jordan Brand is obviously trying to make noise this Summer 2013 with their impressive lineup of lifestyle kicks such as the recently unveiled Jordan Court AC.1. After making its debut in a Black/Gym Red-White colorway last March, this lifestyle kick will be released in Stealth/Grape Ice – New Emerald – White colorway this April. 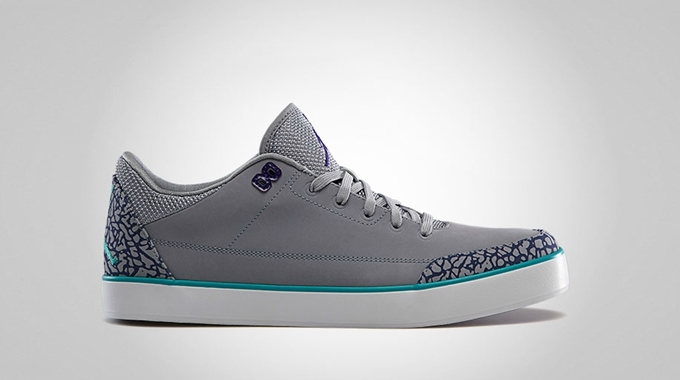 This lifestyle kick somehow resembles the style of the Air Jordan III especially the elephant print and was incorporated with a vulcanized sole. This edition looks cooler than the first one so make sure to watch out for it as it is schedule to hit the market anytime from now. We’ll keep you updated.